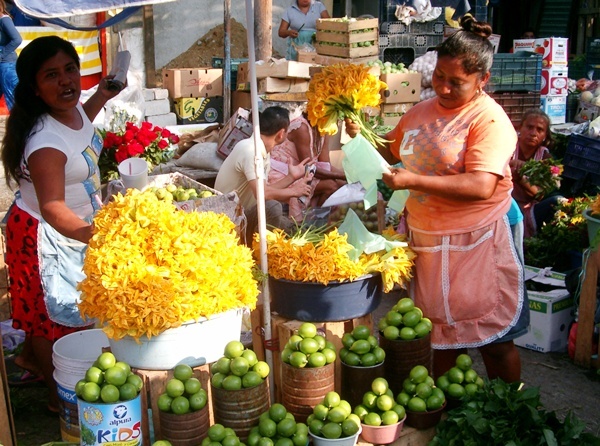 Gals selling pumpking flowers & limes… !he first make the best tacos. 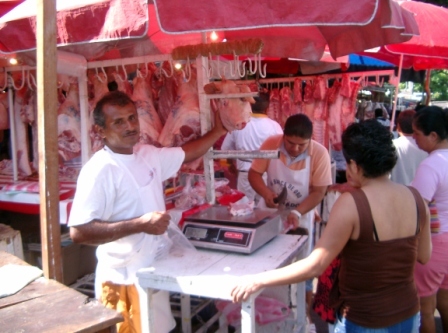 The Municipal market, an eye opener. How intense you want to get to experience the Mexican flavor will depend on you. 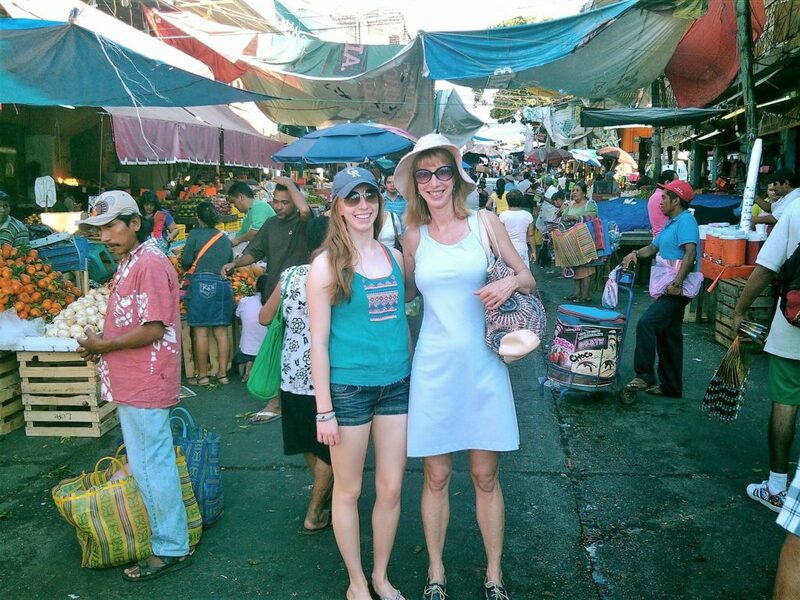 The Mercado is a great place; We may or may not get off the Van to walk around for only a few minutes or even a couple of hours, always of course in company of your private tour guide and driver; it will be all up to you! We do tailored-made tours. We only take you where you want to go. Yes! 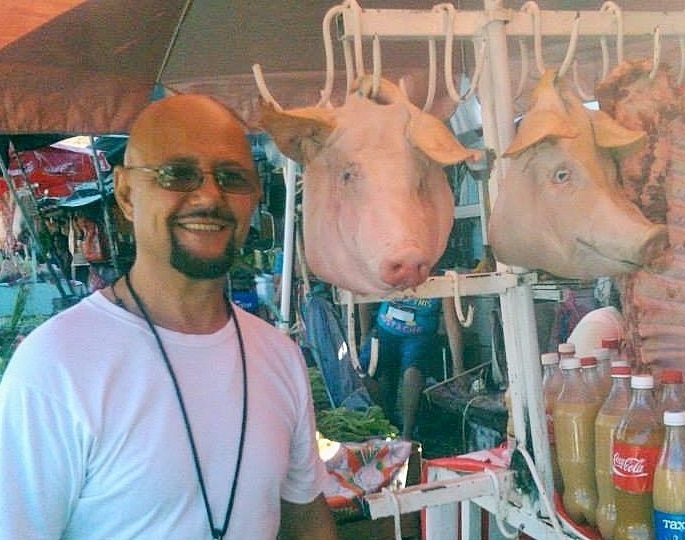 he is got a pork head on his left hand side. 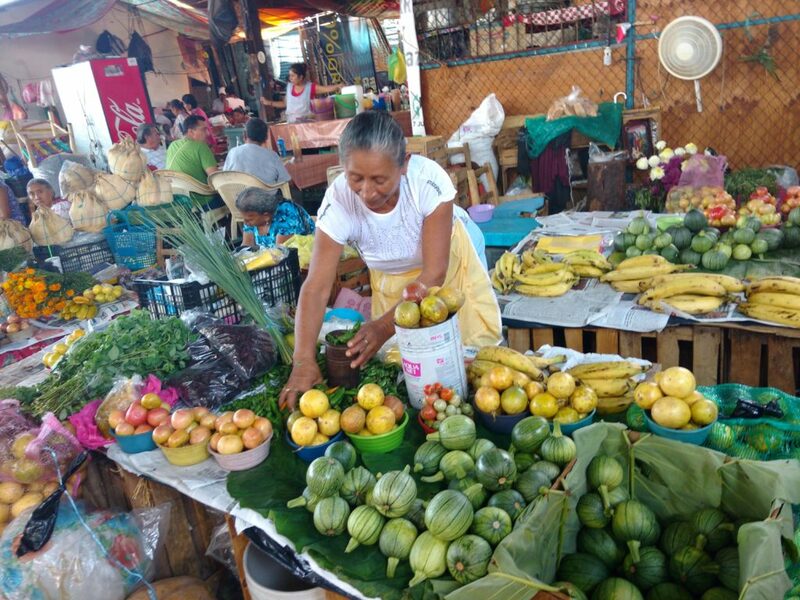 This market is different than the flea market — the sales people are not pushy, and the goods are fruit, spices, home baked goods, some crafts, and pottery. 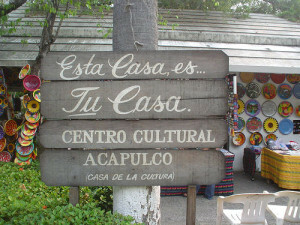 After visiting it, I think we saw the real people of Acapulco. 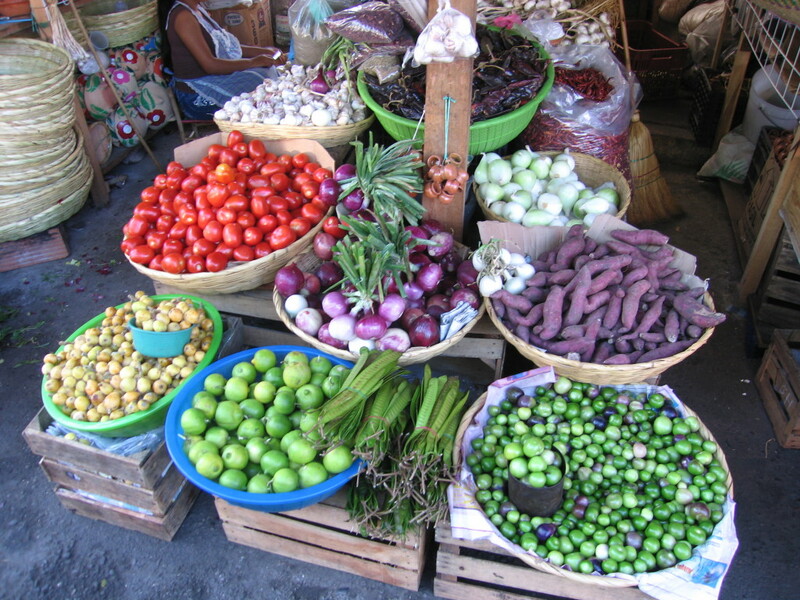 It’s not a market for silver and other tourist type items, but great to buy fresh foods an other lovely items. 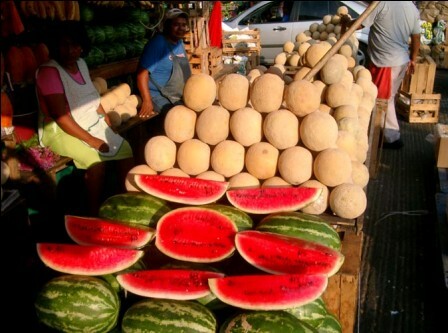 Watermelons, cantaloupes, pinneaples… You can find from soup to nuts! 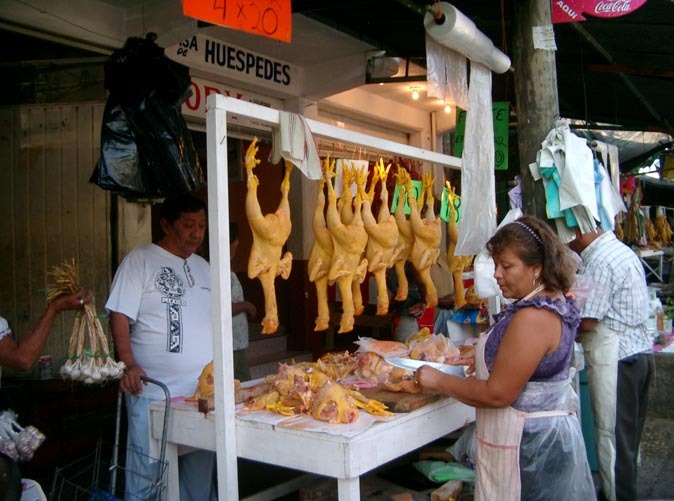 During the day you see locals shop for piñatas, flowers, leather goods, fresh meet and fish, basket, hammocks, amulets to attract lovers or ward off enemies; velvet paintings of Virgin of Guadalupe. 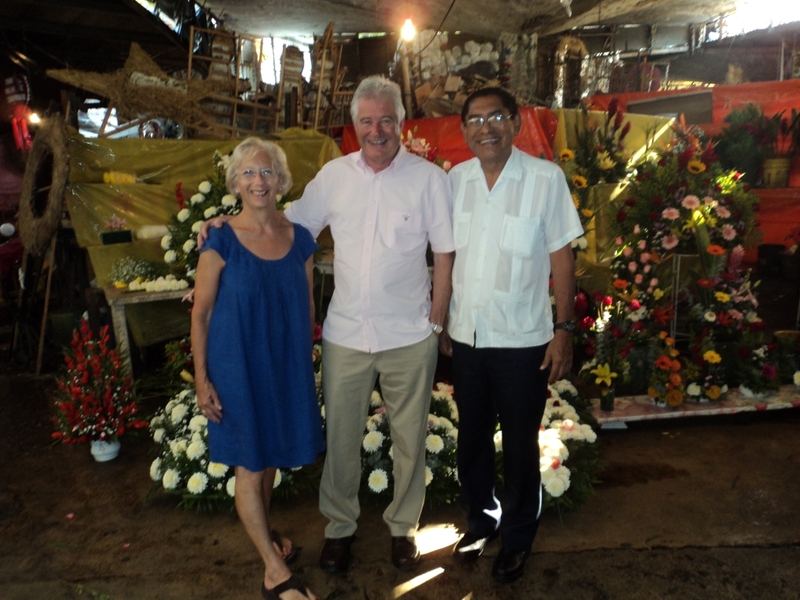 You will also see them walk away with baskets filled with fresh vegetables, meats and fish, fresh cut flowers. You name it and they have it at the Mercado Municipal. 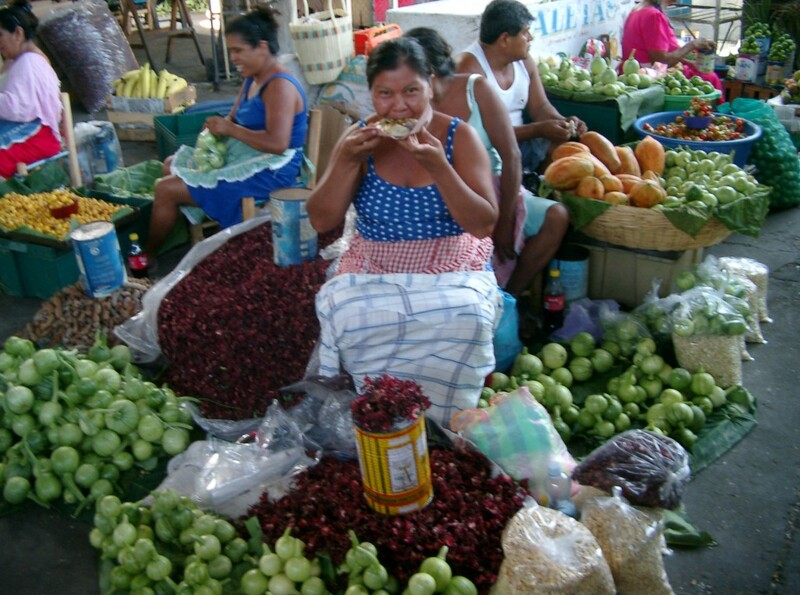 It´s lunch time for the “Marchantas” at the market place. 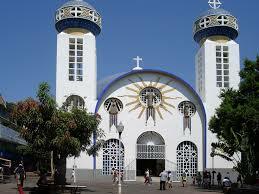 After visiting it, I think we saw the real people of Acapulco. 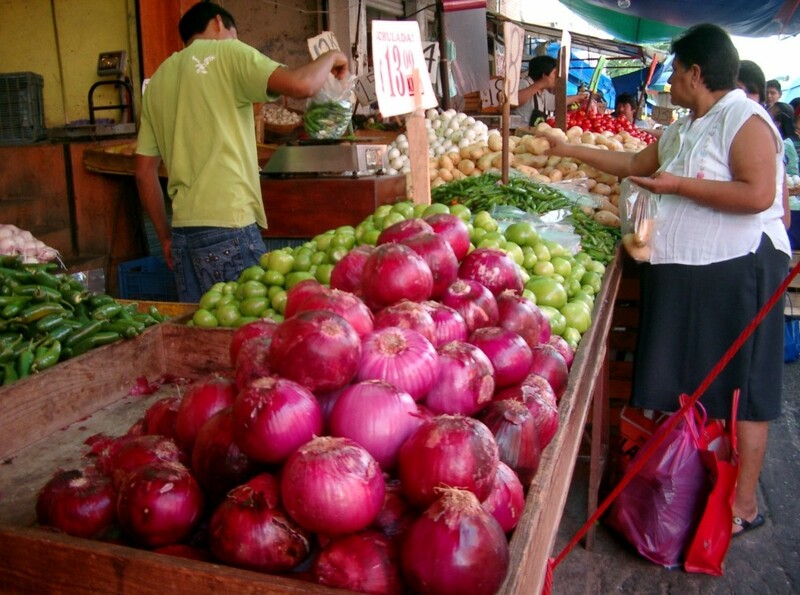 It’s not a market for silver and other tourist type items, but great to buy fresh foods other lovely items. 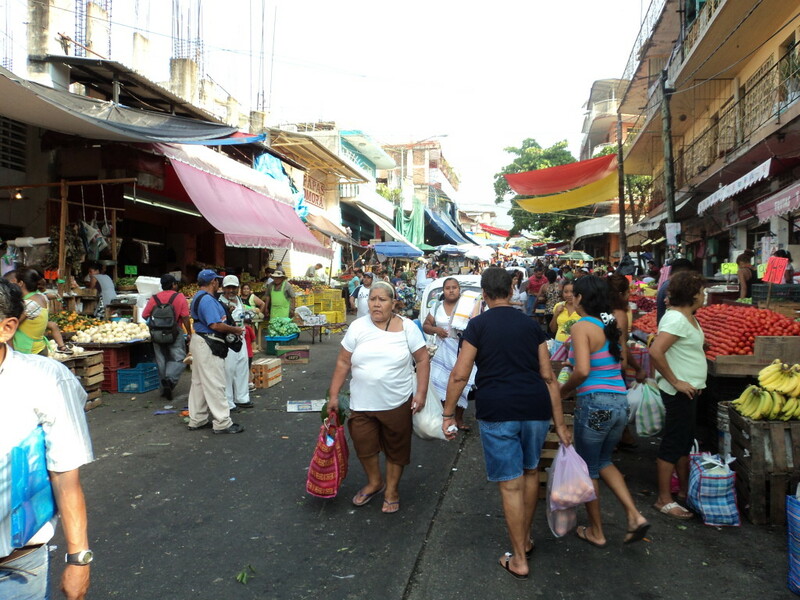 The Mercado Municipal Is really an eye-opener! 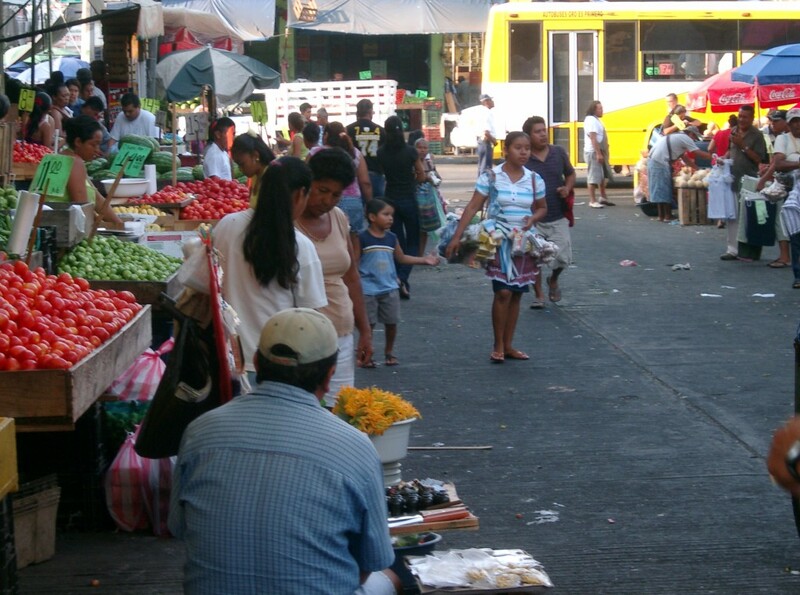 You can rest assured that you had never been in a real, large, Mexican market like this before, it is fascinating. 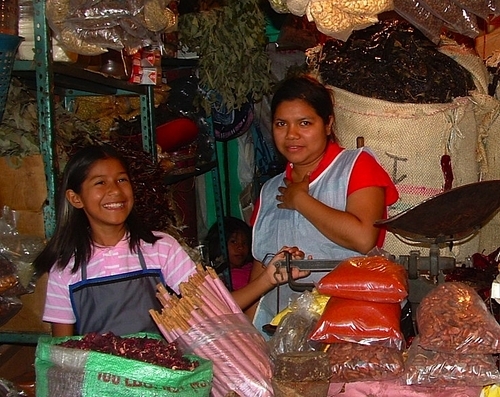 Girls selling spices at the mercado. There is so much to see—dry goods, house wares, gorgeous flowers, candy, live roosters, fresh produce. 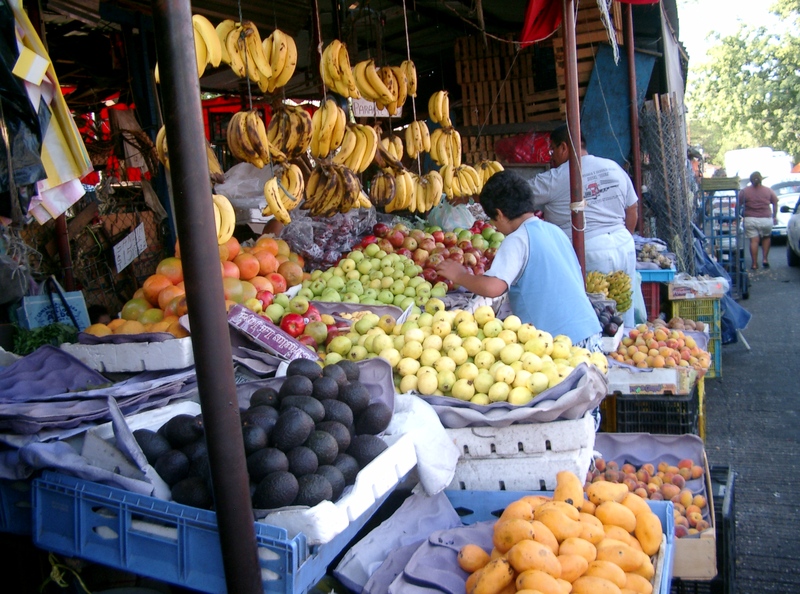 Mangos, papayas and other fruites. 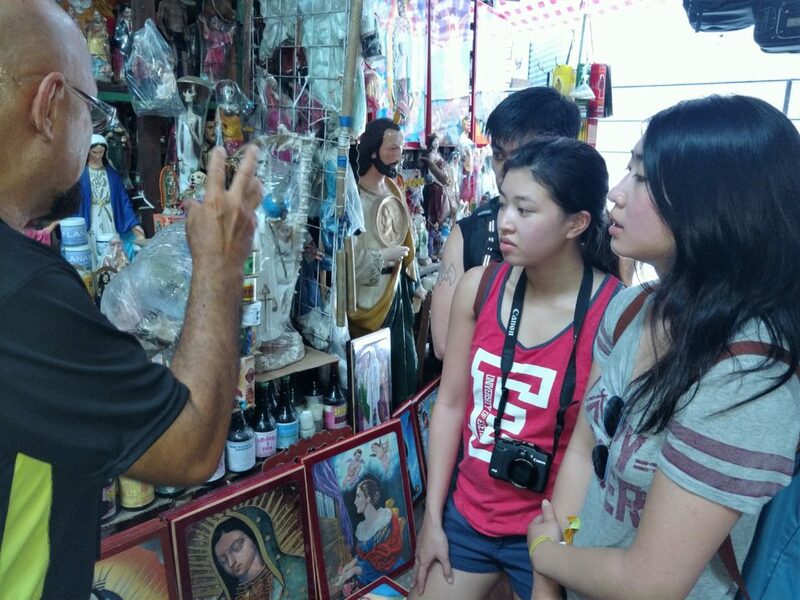 Many stalls featured health care products, which were a combination of herbal remedies and Santeria-type spells and prayers to saints. The best pineapples in town. One of these stalls had a cage full of large live bugs, whose purpose you would prefer not to ask about! 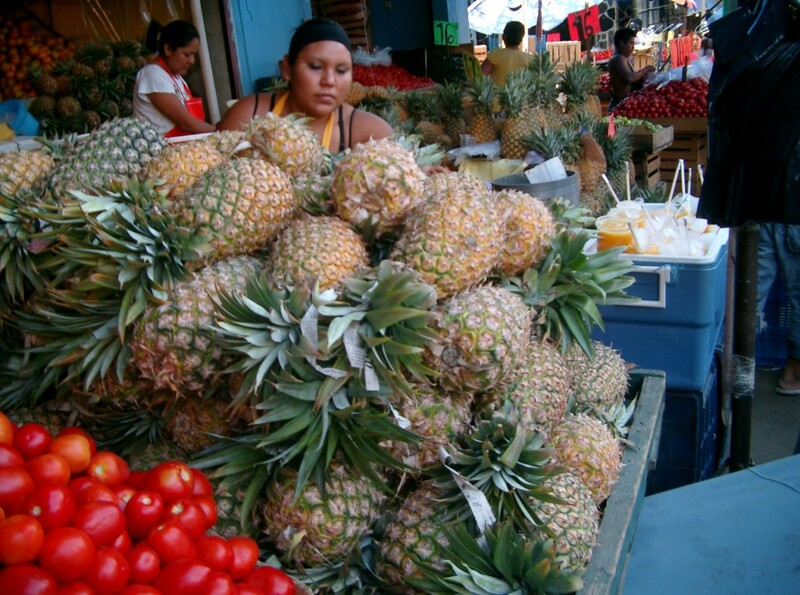 Fruits and vegetables at the market… The best! 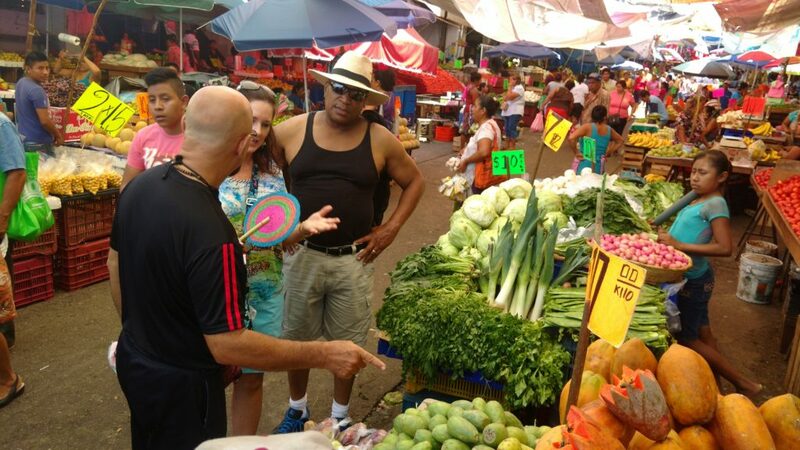 Trip Advisor Municipal Market Review: This market is different than the flea market — the sales people are not pushy, and the goods are fruit, spices, home baked goods, some crafts, and pottery. 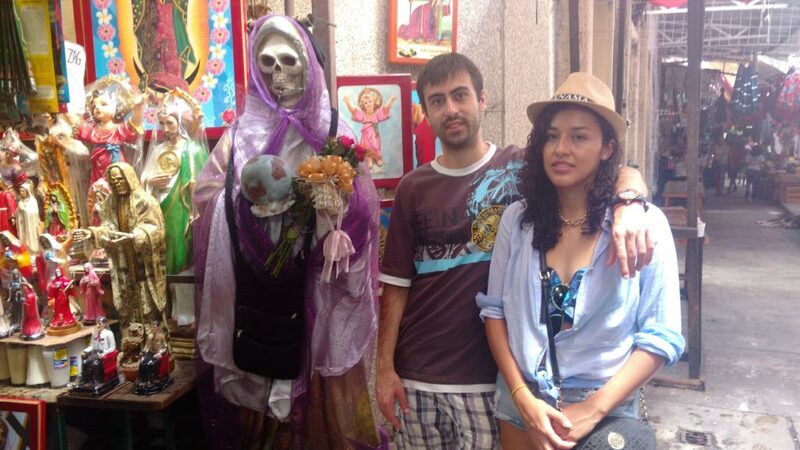 After visiting it, I think we saw the real people of Acapulco. 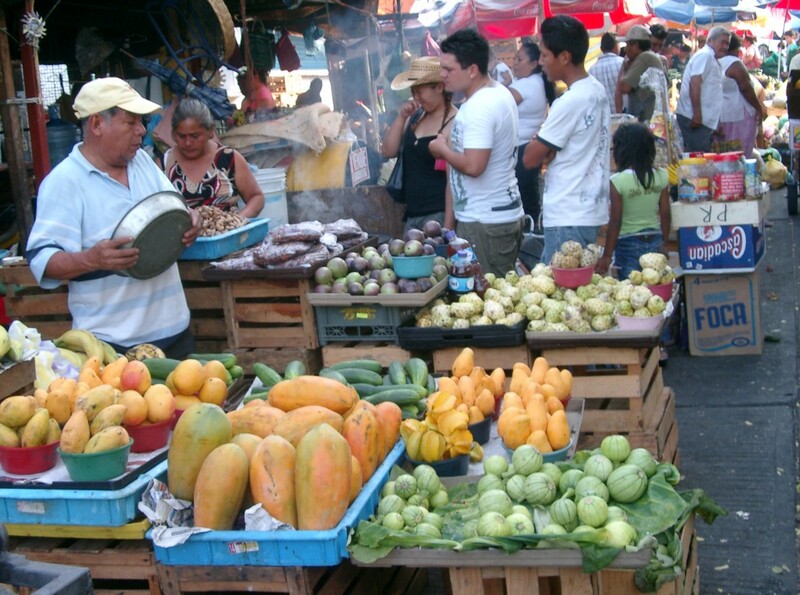 It’s not a market for silver and other tourist type items, but great to buy fresh foods and other lovely items. 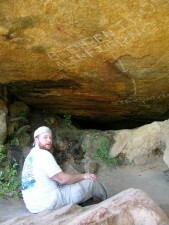 Rest assured it will be an experience you will not easily forget! A walk though the market place.